Enjoy a fine dining experience at Zest! The staff at Morristown-Hamblen Healthcare System (MHHS) can serve the community with more than just its health needs. 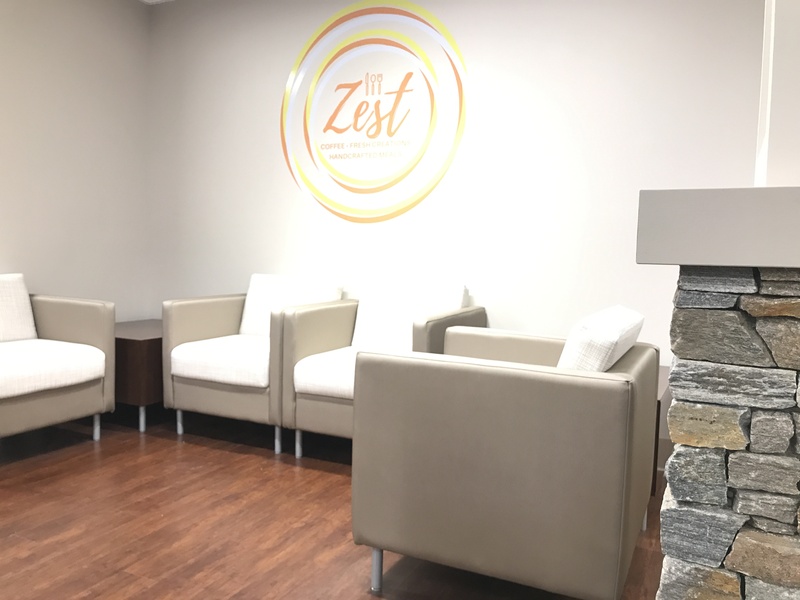 Zest, the hospital’s newly renovated cafeteria, provides a premier dining experience for its patients, staff and visitors. The much anticipated opening of Zest came about eight weeks after renovations began on the hospital’s previous eatery, Café 908. Visitors will see a complete redesign of the dining area including new floors, furniture, walls, ceilings, serving stations and digital menus displayed on overhead television screens. The updated orange and yellow color scheme is complemented by chrome amenities throughout the dining area. Zest also features a fresh menu, featuring stations for sandwiches, pizza, grill food, a salad bar and a Coca-Cola Freestyle machine to allow for complete meal customization. There will also be an action station dedicated to different tastes from around the world. For those on the run, the grab-and-go station provides packaged food made fresh daily. Zest is open Monday through Friday from 7 a.m. to 9:45 a.m. for breakfast and 11 a.m. to 7 p.m. for lunch and dinner. On weekends and holidays, Zest will be open from 8 a.m. to 9:45 a.m. for breakfast and 11 a.m. to 2:30 p.m. for lunch.